The Monitoring, Evaluation, and Technical Support Services (METSS) program contributes technical assistance for achieving the developmental goals of the USAID/Ghana Economic Growth (EG) Office. The EG Office manages development programs that improve local health and livelihoods by generating market-driven mechanisms and nurturing commercial relationships that improve Ghana’s industrial competitiveness. METSS is providing support for the massive USAID Feed the Future (FtF) initiative in Ghana. 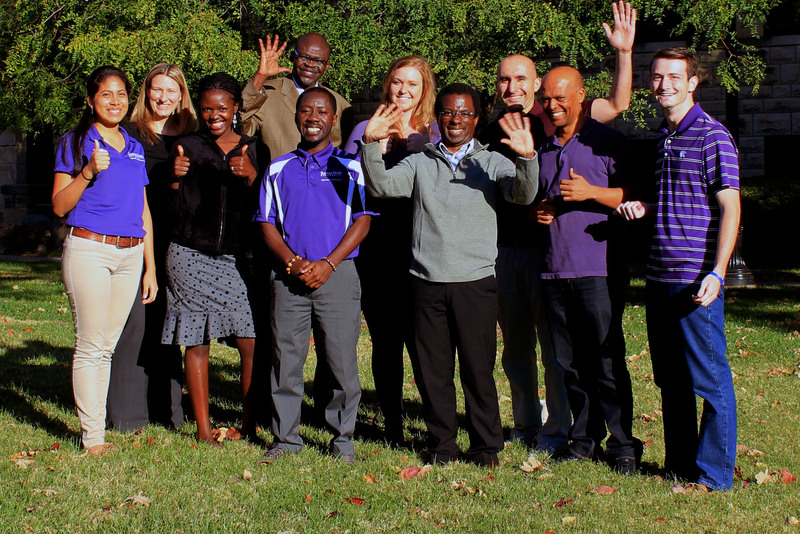 Kansas State Agricultural Economics professor Vincent Amanor-Boadu, Ph.D, serves as the principal investigator for the program, and is backed by a large staff that includes undergraduate and graduate students. Recently, the program finished conducting a landmark survey measuring the progress forward for the initiative. The survey was the second in the series and included over 4,000 households in northern Ghana. Adjunct Assistant Professor Cesar Guvele is part of the METSS team and believes the study has developed a useful skillset amongst the numerators he helped train in Ghana. Guvele enthusiastically promoted the value of conducting good research as it pertains to making policy decisions. The METSS team worked closely with the authorities in Ghana to recruit a team of dedicated young university students in Ghana. METSS team members from agricultural economics department from Kansas State University worked as trainers and provided oversight in Ghana. As part of the process, over 150 numerators underwent rigorous training in Accra before heading north to gather the survey data over a huge geographical expanse covering 45 districts. The survey itself consisted of over 80 pages of questions to gather family demographics, health data and environmental conditions in the impoverished region. Guvele believes the process of conducting the survey showed young Ghanaian university students how to conduct good research, and emphasized the concept of self-efficacy throughout their staff of students and fellow researchers. That idea is reinforced within the undergraduate and graduate students at the Manhattan campus who are currently cleaning the data and providing other support functions within the METSS initiative. Elizabeth Gutierrez, a graduate student in the department of agricultural economics, is working closely with her colleagues to clean the data from the survey. Gutierrez says the process was daunting at first, but the work allows her to engage with research in a different light as she sees the families impacted by the aid project. 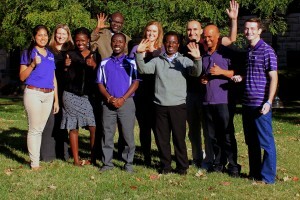 To watch some of the team in action you can watch the video below, and for an in-depth look at the research, you can visit http://www.metss-ghana.k-state.edu/index.html.